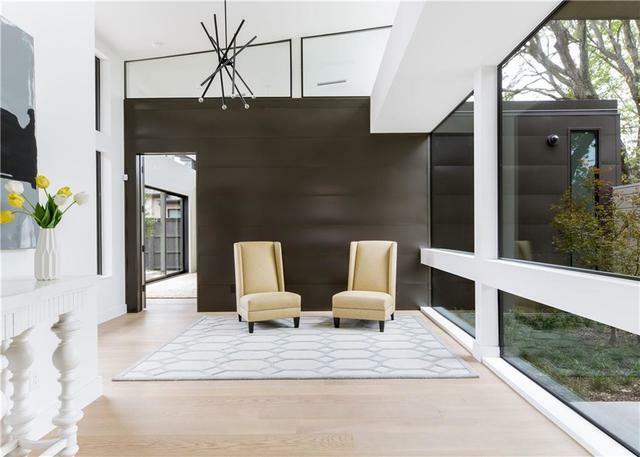 Head north to see a picture-perfect Preston Hollow backyard, or check out a renovated Tudor in Highland Park. 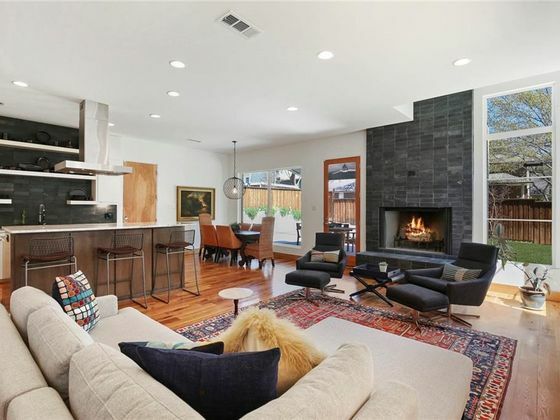 The Appeal: 8614 Thunderbird is a contemporary charmer with a gray slate-filled interior, from the floor-to-ceiling fireplace to the backsplash in the kitchen. 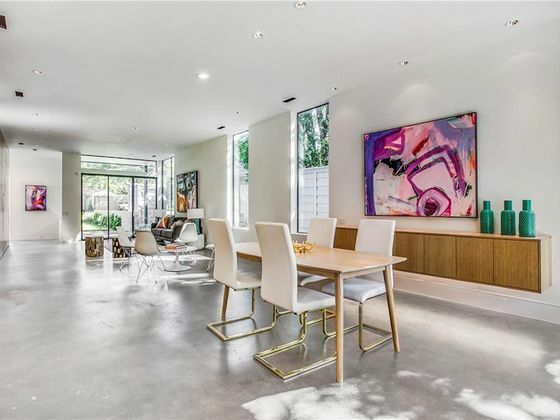 The Appeal: Sleek, airy, and masculine, this modern build is adorned with white walls, dark metal accents, and clean lines both inside and out. Standout features: a wet bar and wine wall, a floating staircase, and a killer pool. The Appeal: This 1930s home has the distinct charm of an old-school Highland Park tudor. 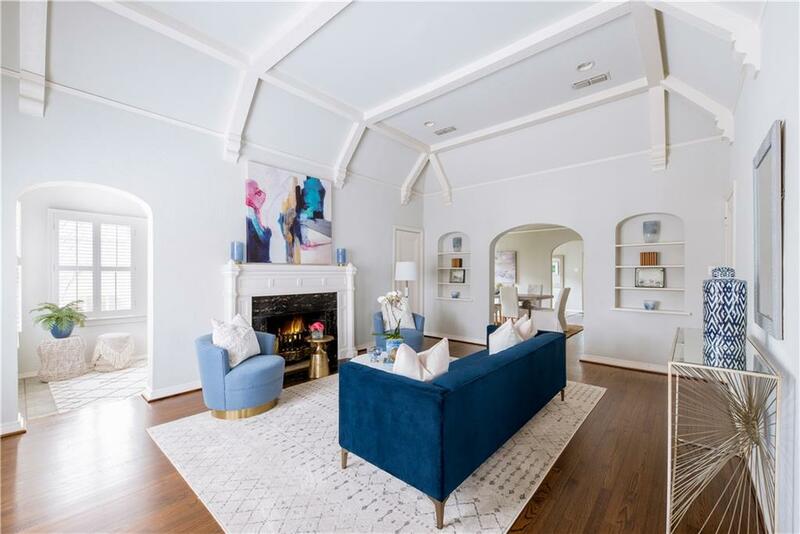 A clean white palette lets light bounce off details details such as crown molding, ceiling beams, built-ins, and arched pass-throughs. 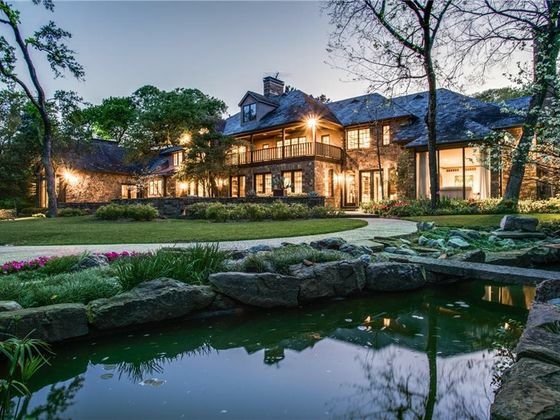 The Appeal: Though the interior of this massive North Dallas home is brimming with amenities at every turn, our favorite features are found outside. A full tennis court, beautifully lit pool, flowing creek, and tree-filled yard are ready and waiting to host summer parties. The Appeal: It’s all in the details in this Midway Hollow home. Eye-catching extras are especially apparent in the bathrooms, where bohemian-patterned tile walls pop against backlit mirrors, dark wood vanities, and standalone tubs.